PS Relief. Stamped on heel. Stem bore size: 7/64ths. Pipe bowl style attributed to Barnstaple dating 1620-60 (Grant and Jemmett 1985:538). 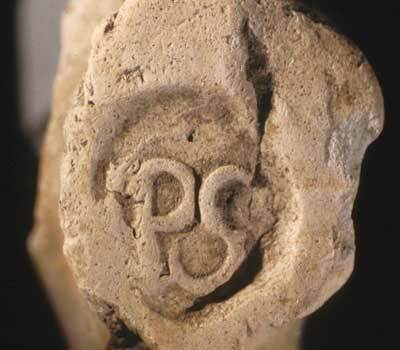 Mark identified as Peter Stephens, Barnstaple pipemaker (took app. in 1646, d.1670). 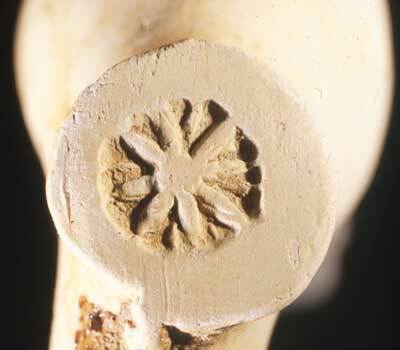 Several exact marks and bowls found during excavations of a 17th century planters house in Renews (See Mills 1996:46). RC	Relief. Stamped on heel. Pipe was likely manufactured in London. Bowl dated 1640-50 (Cheminant 1981:161), stem bore size: 7/64ths. Possible makers: Richard Cole (1615-59); Roger Clare (m.1631). RC	Relief. Stamped on heel. Pipe was likely manufactured in London. Dated from 1640-70 (Pope 1988:19), stem bore size: 8/64ths. Possible makers: London- Richard Cole (1615-59); Roger Clare (m.1631). DK	Incuse. DK mark most likely the initials of the owner, David Kirke, who lived in Ferryland from 1638-51. 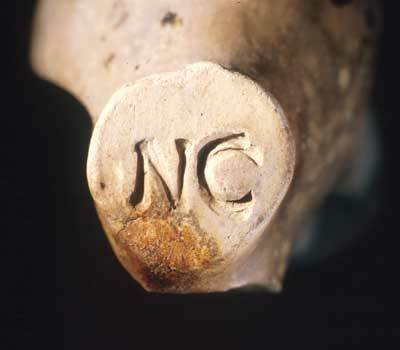 Pipe manufactured in Virginia; dated to around the 1640s. Stem bore size: 8/64ths. Refer to Mouer 1993. AR	Relief. Stamped on heel. Stem bore size: 7/64ths. West Country or London bowl style dating 1660-80. 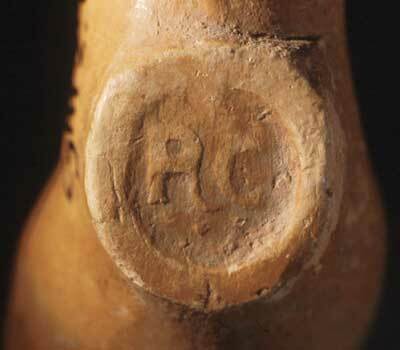 Maker may be Anthony Roulstone, Barnstaple pipemaker, working from 1630s-70 (Grant and Jemmett 1985:472); or London pipemaker Abraham Roberts working in 1665 (Oswald 1975:143). D Incuse. Stamped on heel, surrounded by series of impressed marks. Stem bore size: 7/64ths. Pipe bowl similar to London or Bristol styles dated 1640-60. Possible Bristol makers from this period: Thomas Deane (1643-53); Thomas Dodding (1652). Refer to Walker 1977:1116-7. PE	Incuse. Stamped on heel. Stem bore size: 8/64ths. 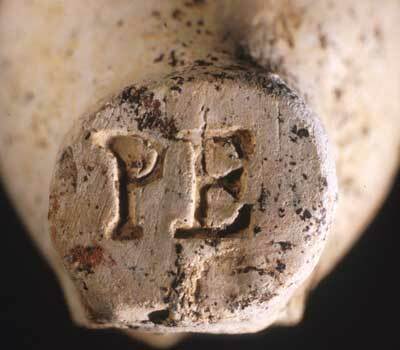 Both pipe bowl and mark identified as Philip Edwards of Bristol (1649/50- 1668-9). Refer to Walker 1977:1420. IH	Incuse. Stamped on heel. Stem bore size: 7/64ths. 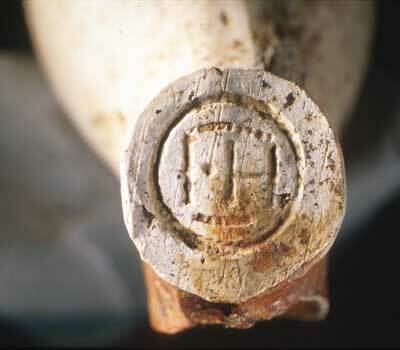 Both pipe bowl and mark identified as John Hunt of Bristol (1651-53). Refer to Walker 1977:1448. IEF/FRYY/HVNT Incuse. Stamped on heel. Stem bore size: 7/64ths. Fragment of stem and heel only. 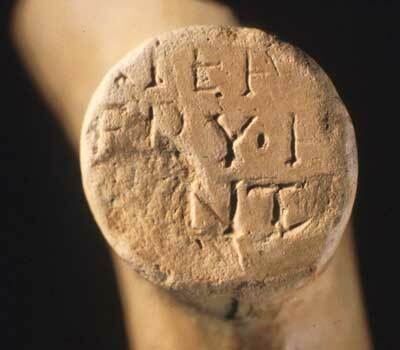 Mark identified as Jeffrey Hunt, most likely of Bristol, but possibly from Marlborough, Wiltshire, 1650-70. Refer to Atkinson 1971:159 and Oswald 1975:64, 198. NC	Incuse. Stamped on heel. 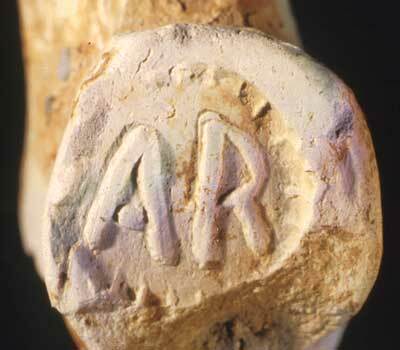 Pipe bowl fragmentary but appears to date from the first half of the 17th century. 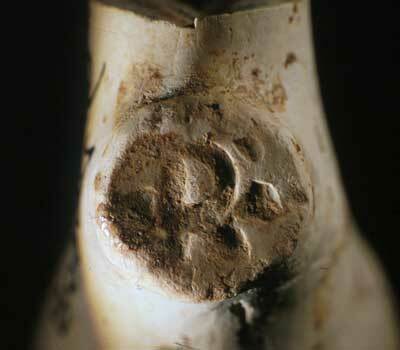 No makers with these initials from Bristol, London or West Country during this period. Most likely Dutch; Nicholaas Claverlij (Englishman) working in Amsterdam 1629. Refer to Duco 1981:307. WT	Relief. Stamped on heel. Pellet decorated interior within a rope-like border. Stem bore size: 7/64ths. Pipe bowl style of Bristol or Southern England origin, dating 1640-60. 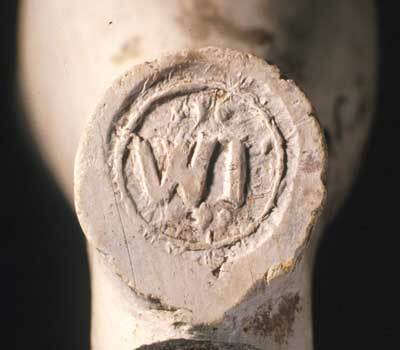 Maker may be William Thomas from Bristol (mid-17th century). Refer to Walker 1977:1312. Wheel	Relief. Stamped on heel. Eight-pointed star or spoked wheel. West Country styled pipe bowl. Stem bore size: 7/64ths. 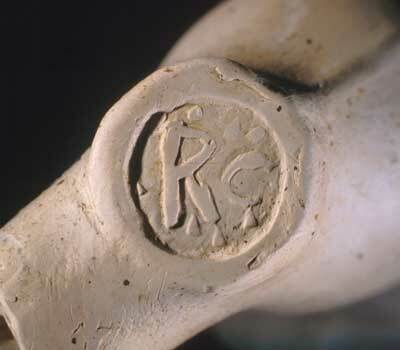 Both pipe bowl and mark identified by Pope (1988:19) as being of Exeter manufacture (1650- 80). 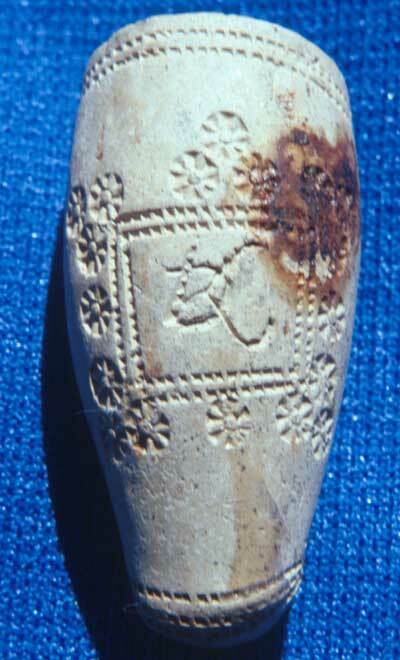 Bowl style also very similar to Barnstaple pipes dating 1660-1720 (Grant and Jemmett 1985:520-21, 506; p.538-1620-60).